Mary serves our practice in a variety of functions from implementing the latest technologies and systems, to nurturing harmonious work conditions. She has a passion for helping the apprehensive dental patient connect with this office. She has a deep appreciation for relationship building as well as an acute sensitivity for the fearful dental patient. Her personal understanding of Obstructive Sleep Apnea inspires her to make great effort to steer sleep patients to this practice as well. Mary studied philosophy and theology, raised her children, and went on to be a caregiver for her mother. She joined our office in February of 2011 and is a current member of the American Academy of Dental Office Managers. She is committed to and excited about adding to her many hours of continuing education in all areas that equips her to serve our Patients’ best interest as well as contribute to the strength of the whole team. Mary is married, has 6 children and 4 grandchildren, and 13 older siblings. She loves family time, reading (manuals) and computers. I had initially joined this practice working as a Certified, Expanded Functions Dental Assistant (EFDA). Several months later I was given the opportunity to bring my passion for excellence in dental care to serve in a new capacity in the business office as a Patient Coordinator. 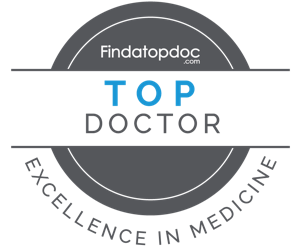 I really appreciate working in Dr. Lipton’s practice because of the high value that is placed on the relationships with our patients and quality of care. I love our patients and enjoys serving them in my role at the front desk. I have been a dental receptionist for the better part of the last 9 ½ years. I have always had an interest in dentistry- in 3rd grade, I even did a Science Fair project on oral hygiene and the parts of a tooth! People’s smiles are what I notice first and I really enjoy seeing the smiles of our patients knowing that they have received the best care and actually look forward to coming back to see us! How many people can say that about their dentist office? I have been in dentistry for 38 years and have been in practice with Dr. Lipton since 2000.I am proud to be part of a practice dedicated to the Highest quality of care and commitment to the overall well-being of our patients. I have been a dental assistant for 25 years. I have worked diligently beside Dr. Lipton for the last 14 years. I love this practice because we not only focus on excellence in dentistry, we create personal relationships with our patients.